I’m very pleased to see this Cuban Jack in print. 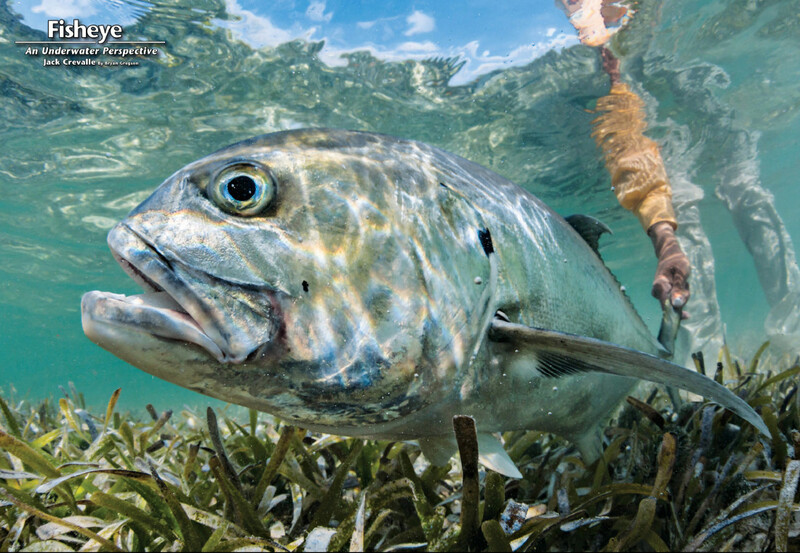 I visited Cuba on staff assignment for Yellow Dog Flyfishing Adventures with Tom Melvin. He and I toured the country eating ham and cheese sandwiches and chasing down a plethora of fish. A trip we will both never forget. This one time, in Cayo Largo, we were cruising on the edge of the flats when we spotted a mini-school of mini-GT’s hunting. They were headed right for us, there was no time to react. It was an easy choice for the dry fly anglers to quickly grab the dryfly/topwater rod with a Brent Dawson’s crease fly attached. Without hesitation a cast was fired off in the direction of the hunting fish and the fly began going to work, causing a ruckus and throwing water in every direction. Within about 2.9 seconds the largest fish accelerated towards the fly and crushed it with aggression. The fight was on and a battle it was. These fish are so powerful … will eat dry flies/topwater flies … a no-brainer. Head down to your local shop and grab a copy today or subscribe for a digital subscription!